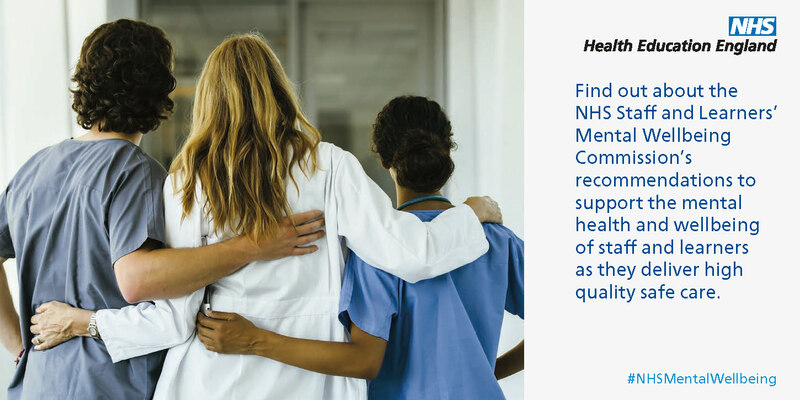 Health Education England recently published a report looking into the mental health and wellbeing of NHS staff, as well as future NHS staff such as student nurses, doctors, and AHPs. You can access the full report here, and read its conclusions and recommendations. With so many competing demands on staff and learner’s time, being efficient about getting jobs done can help to reduce stress. If you’re struggling to get the information you need for that essay, or to find the books to help you complete the course work – please ask Medical Library staff for help. We’re able to guide you to resources quickly, can offer support in getting that literature search done efficiently, and tips and tricks to ensure those references are included with ease. Guides and group sessions and one-to-one support are all available to you. The Medical Library would also like to point users, particularly students of the University of Cambridge, towards avenues for support. You can contact the University Counselling Service to arrange free counselling with a trained, accredited counseller. There may also be help available for Cambridge students at their individual colleges. Many of our library users are Anglia Ruskin students doing their placement at Addenbrooke’s. They can find support from Anglia Ruskin University’s Disability and Dyslexia Support, as well as the Counselling and Wellbeing Service. The Medical Library also does what it can to alleviate stress and improve library users’ mental wellbeing. We have a wellbeing zone with jigsaw puzzles and colouring books, to give you time to take a break and refresh your mind after (or in the middle of) a gruelling study session. We also have a collection of stress busting books — our humanities collection of fiction and popular science books, and DVDs. All are borrowable.